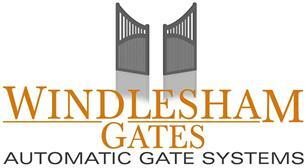 Windlesham Gates Ltd - Alarms/Security, Garage Doors based in Warfield, Berkshire. Surrey-based Windlesham Gates specialises in installing and maintaining electric gates for residential and commercial properties. We also supply and fit manual gates, barriers, bollards, sectional doors and roller shutters. We pride ourselves on providing a great service at competitive prices. Our gates and operating systems will be tailored to your unique requirements. All our gates are designed and manufactured to our specification in England. Wooden gates are made from sustainable timber. We use only the best quality operating systems, and install all necessary safety features, giving you many years of trouble-free use. Our team of skilled, professional engineers works across London, Berkshire, Hampshire, Surrey and Buckinghamshire. Contact us for a free, no-obligation quote.